The Great Barrier Reef gained a place on the UNESCO World Heritage List in 1981 as its remarkable natural beauty and diversity was determined to be of 'outstanding universal value'. Gaining a place on the World Heritage List is not the end of the story. Regular monitoring and periodic reporting to UNESCO (United Nations Educational, Scientific and Cultural Organisation) on the condition of the site and steps being taken to protect it are required. 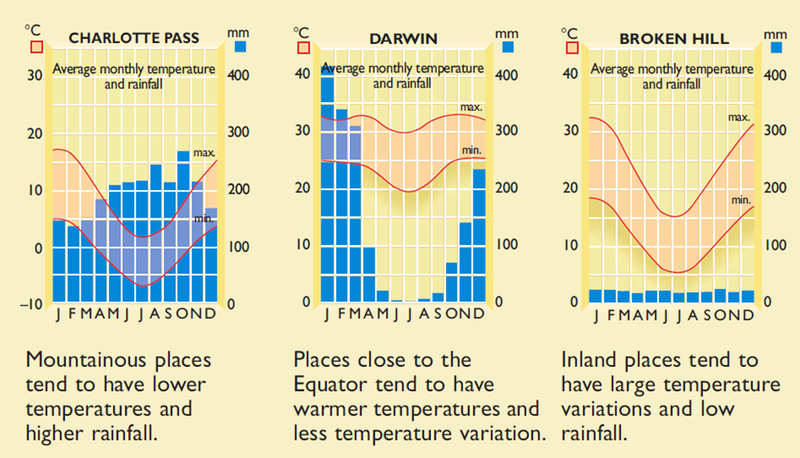 The Great Barrier Reef is a particularly fragile environment. If a country does not fulfill its obligations under the convention, there is a real risk that the site will be deleted from the list. Citizens, groups and non-government organisations (NGOs) are encouraged to alert UNESCO if sites are mismanaged. If there is sufficient cause, sites are placed on the ‘World Heritage List in Danger’. There were 54 properties on the danger list in 2017. 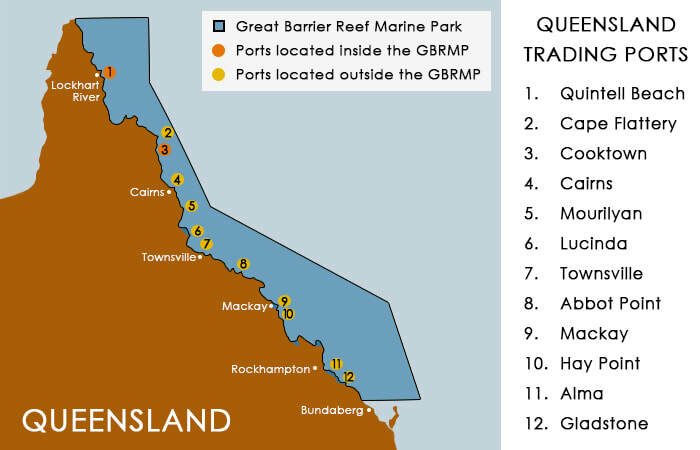 There is recent speculation that the Great Barrier Reef is at risk of being included on this danger list due to increasing mining and shipping in close proximity to the reef. 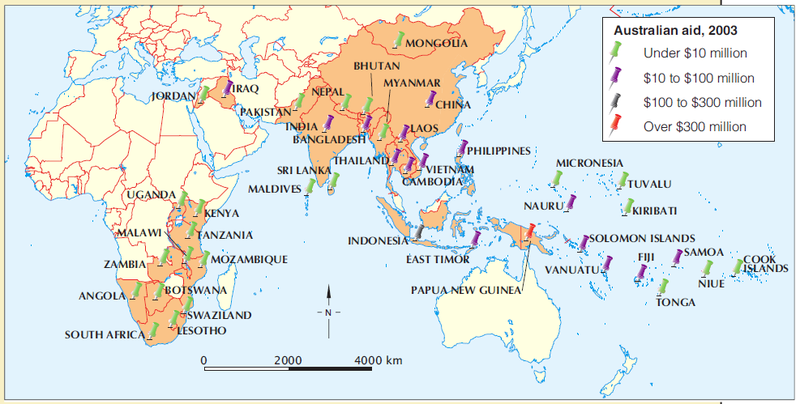 The Commonwealth Government is responsible for implementing international conventions and agreements. This includes UNESCO World Heritage obligations. State governments are the land managers of most sites, however, so the best results are achieved by cooperation between the Commonwealth and the states and territories. World Heritage listings in Australia have highlighted the conflict between conservation and resource development, as well as the conflict between federal and state governments. Laws have been passed to try to solve these disputes. Watch: How Dead is the Great Barrier Reef? Silt and sediment can smother the corals by blocking light and oxygen. On April 3 2010, bulk coal carrier Shen Neng 1, ran aground at high speed east of Rockhampton in Central Queensland. 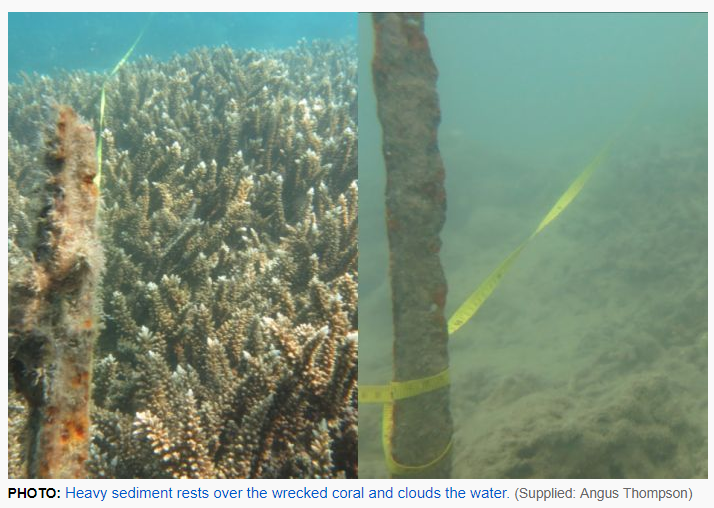 It leaked tonnes of heavy fuel oil onto the reef over a 3 km area. 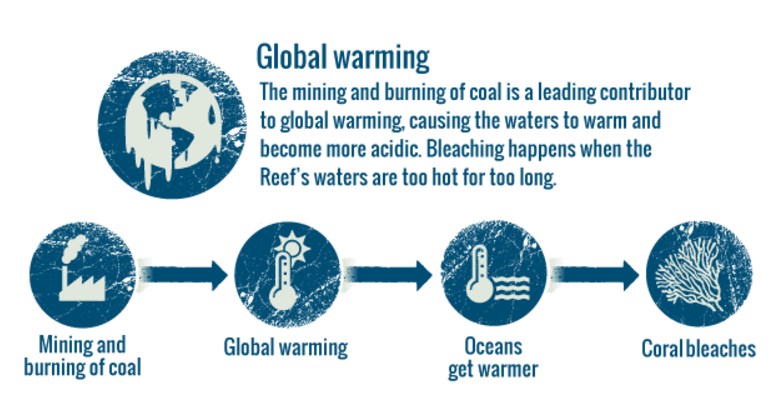 The ship was carrying 65,000 tonnes of coal that had the potential to end up in the reef. 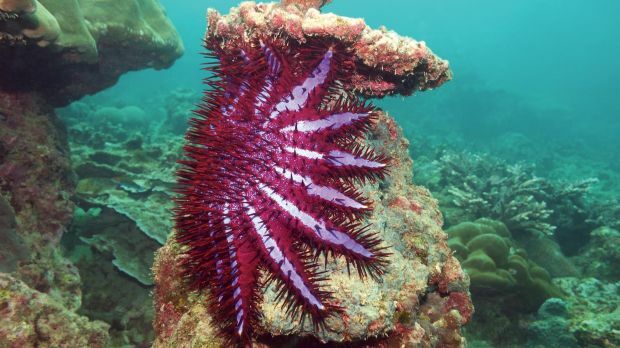 It also created the largest grounding scar on the Great Barrier Reef known to date. The scar was roughly 3 kilometres long and 250 m wide. Some damaged areas have become completely devoid of marine life. By 13 April 2010 oil tarballs were found washed up on the beaches of North West Island, a significant bird rookery and turtle nesting colony. Scientists say it could be a decade before the southern Great Barrier Reef recovers from the destruction caused by Cyclone Debbie. Unfortunately, the cyclone damage occurred on top of the second consecutive mass bleaching event for the Great Barrier Reef. The Abbot Point terminal in 2016 and after Cyclone Debbie 2017 (right). Satellite images of the Abbot Point terminal before and after Cyclone Debbie indicate spillage from the mine into neighbouring wetlands. A spokesperson for Queensland's Department of Environment and Heritage Protection said an inquiry was launched after satellite images appeared to show "sediment-laden water" flowing into the Caley Valley. The spill is likely to affect the 40,000 shorebirds that inhabit the area during the wet season.